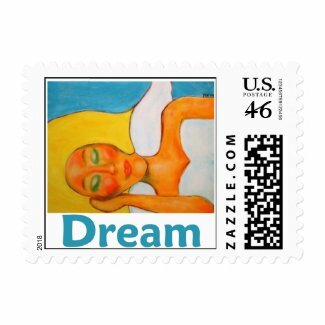 Be a greeting card affiliate with Zazzle. 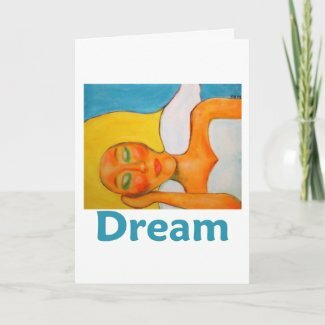 Today's card features an image of my "Dream Angel" painting, part of my Earth Angels series from a couple of years back which also includes the Gratitude Angel and the Blessed Angel. 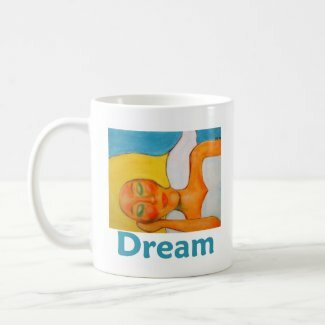 Dreaming is a theme that runs through a lot of my art. 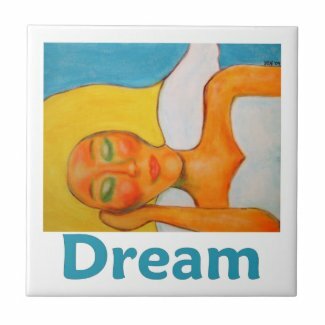 I am a firm believer in the power of dreaming, especially the kind you do when you are awake. 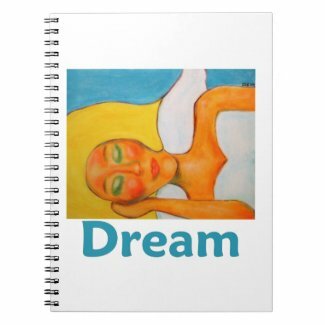 To me, it is the first, essential step to accomplishing anything in life. Some people might think I am being lazy if they saw me sitting in my chair in my studio, seemingly staring out the window, but I always say that this is how I do my most important work. Taking the time to just sit and contemplate all the possibilities my imagination has to offer, I often discover ideas and solutions I'm certain I would have missed otherwise. 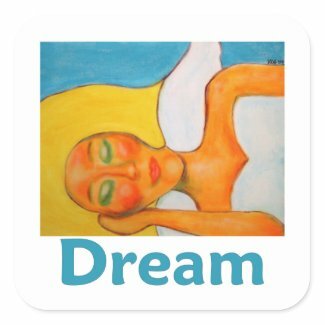 So if there is one idea I hope the dreamers in my paintings convey, it is probably this: time spent dreaming is never wasted.